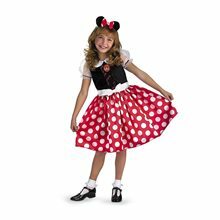 Deluxe Goth Maiden Witch Child Costume.Age Category - Child.Includes: Dress and Hat.Available Size: Girls - Small (4-6), Girls - Medium (8-10), Girls - Large (10-12). *Shoes Not Included.Product Care: Hand Wash Cold Separately, Do Not Bleach, Line Dry, Cool Iron if Necessary, Do Not Dry Clean.This is the perfect which costume for the young girl who always wanted to be the one to cast the spell of 100 years sleep on Sleeping Beauty. This beautiful dress comes with velvety dress with green satiny insets and corset style top with a black ribbon for lacing with vented fishnet sleeves. Also includes a pointy decorative witch. GLEAM GIRLS - Sassy Fairy.Age Category - Juniors / Teens.Brand - Gleam Girls.Character/Theme - Fairy.Includes: Dress and wings.Available Size: Teen - Medium (7-9), Teen - Large (10-12), Teen - XLarge (14-16). *Fishnet Stockings Not Included.Material: 100% Polyester.Care Instructions: Hand Wash Cold Separately, Do Not Bleach, Line Dry, Cool Iron If Necessary, Do Not Dry Clean.Gleam Girls is a trademark of Disguise, Inc.
Greek Goddess Athena Child Costume; Includes: Toga with attached Shoulder Drape and Gold Waist Tie Cord.Available Size: Girls - Small (4-6), Girls - Medium (8-10), Girls - Large (10-12). *Snake Armband, Shoes and Headpiece Not Included.The Child Athena Costume comes complete with white gown and attached shoulder drape, and gold waist cord. 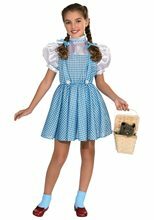 This periodic child costume is great for holidays, plays and events! Little Bo Peep Tween Costume.Includes: Black corset-style dress with pink trim and matching apron with lace-up bodice, 3/4 length bell sleeves with pink bows, black fishnet leggings and matching bonnet.Available Size: Tween - Large (10-12), Tween - XLarge (12-14).Tween - Large (10-12): Chest (31"), Waist (26"), Hip (32"), Height (61"), Weight (up to 90 lbs. )Tween - XLarge (12-14): Chest (33"), Waist (27"), Hip (34"), Height (63"), Weight (up to 100 lbs. )*Wig, Staff with Bow, Shoes and Stuffed Sheep Not Included.Product Care: Hand Wash Cold Separately, Do Not Bleach, Line Dry, Cool Iron if Necessary, Do Not Dry Clean.Ready to join the party with me...? Little Bo-Peep has lost her sheep and can't tell where to find them, she was told to just leave them alone.